Kurukshetra University is inviting the eligible candidates to apply for Kurukshetra University Recruitment 2019. There are 198 Clerk vacancies available in the department. 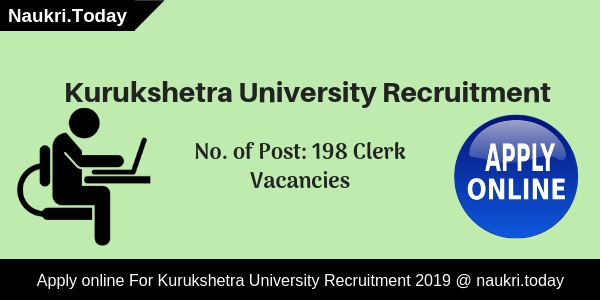 Applicants who are interested in can apply online for Kurukshetra University Clerk Jobs 2019 through the direct link as given below. The online process has been started from 09.03.2019 for Kurukshetra University Vacancy 2019. 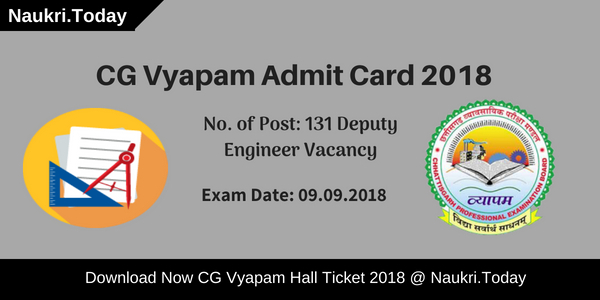 Candidates can fill & submit their application form till the due date which is 15.05.2019. If candidates age is between 18 years to 50 years can apply for KUK Vacancy 2019. Fresh Update as on 19.04.219: Candidates can check direct official to apply for Kurukshetra University Vacancy 2019. Before that, you need to check the Kurukshetra University Recruitment 2019 to fill online form for Clerks. Matric with Hindi or Sanskrit as one of the subjects. 10+2/B.A./M.A. with Hindi as one of the subjects. How To Apply Online Kurukshetra University Recruitment 2019? Search for Kurukshetra University Jobs Notification Pdf. Click on it. Read the Kurukshetra University Clerk Advertisement. Required to fill up the application form with correct details. Then you need to pay the application fees. Recheck the application form details once again. Take out the print of KUK Clerk Vacancy form for the future use. Conclusion: Kurukshetra University Recruitment 2019 Notification has released on official website for 198 Clerk Jobs. Candidates can fill forms for Kurukshetra University Clerk Vacancy before the last date which is 15.05.2019.